LaxAdvantage Girls Summer Camp | Broward Lacrosse Advantage, Inc.
Beginner, Intermediate, Advanced – All Positions. This camp program is organized by Pete Dunne (Virginia) and Shaun Bamforth (RPI). This camp features premier coaches made up of local high school coaches and college level players. 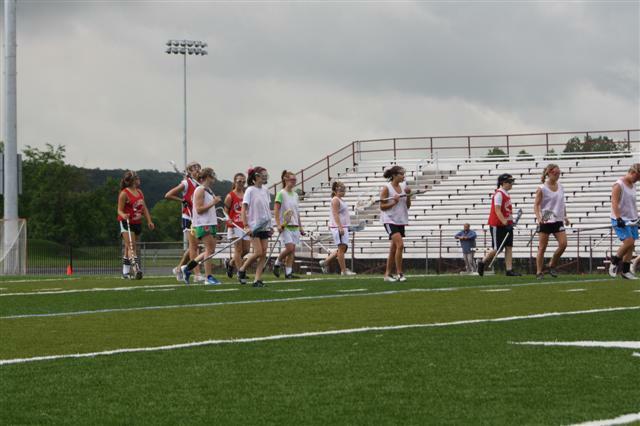 LaxAdvantage Girls Lacrosse Camp brings high quality coaches and players to train campers of all ages and skill sets. The campers are divided into divisions by age, size, and ability so that maximum instruction may be given at all levels (Camper:Staff ratio is 8:1). The coaches will stress individual offense and defense skills and team concepts. Special attention will be given to the instruction of goalies. Equipment — Campers should bring their own lacrosse sticks and goalie pads. Mouth guards and goggles are required. We have two sessions per day. A great deal of instruction takes place in session one with demonstrations, instruction, and games in session two. We also add some fun contests and games. Campers should arrive no later then 8:30 on the first day to check in. Here is a typical camp day (subject to change). Payment is due in full at registration. Full refund available until 5/31/2012. No refunds after 5/31/2012. We will limit the number of player in this camp. Register early to save your spot.